Hiding in the shadow of the opioid epidemic is another troubling public health crisis, the precipitous increase in people whose liver is infected with hepatitis C virus (HCV). It’s likely you have seen the drug company commercials advertising medications to treat hepatitis C. In these commercials, it appears that hepatitis C is only a problem among older Americans. Although baby boomers still represent the largest group infected with hepatitis C virus, these commercials only tell a part of the story. The hepatitis C virus is transmitted by direct contact with the blood of someone who is infected with the virus. Most people who are infected with the hepatitis C virus do not have any symptoms. Others may have very mild, vague symptoms including fever, fatigue, joint pain, nausea, and vomiting. Although the infection often goes away on its own, more than 75% of people who get the hepatitis C virus will develop a persistent (chronic) infection. Over time, chronic HCV can lead to liver failure and an increased risk of liver cancer. The good news is effective treatment options are available that cure hepatitis C. You are considered cured when the virus is no longer detected in your bloodstream. But because you may not develop any symptoms until it is much too late to prevent the serious liver complications of chronic hepatitis C, you need to be tested to see if you are at risk of infection. The prevalence of HCV has been steadily rising over the last three decades since its discovery in 1989. But according to the CDC, more recently there has been a marked increase in the diagnosis of HCV, especially in those under 40. This increase parallels the rise in the misuse of opioids and heroin in this age group. About half of these young people who are injecting drugs are women of childbearing age. And although sexual transmission or transmission of HCV from infected household items is rare, it can happen. And women whose partners inject drugs are also at risk for exposure. A pregnant woman can pass the hepatitis C virus to her baby. It is not exactly clear at what point in pregnancy HCV transmission occurs, but there is some evidence to suggest it is more likely to occur close to the onset of labor or actually during labor and delivery. This is known as vertical transmission. Luckily vertical transmission of HCV is relatively uncommon, with 6 out of 100 babies born to HCV-infected mothers ultimately testing positive for HCV. That said, in a recent article published in the Annals of Internal Medicine, researchers from the CDC reported that cases of HCV “essentially doubled among reproductive-aged women between 2006 and 2014, from 15,550 to 31,039.” They went on to compare rates of HCV in pregnant women and anticipated new cases in children to actual reported cases of HCV in children. The results suggest that there are likely a lot of children who have the hepatitis C virus but no symptoms. The authors conclude that these results should spur thinking about whether it might be appropriate to screen children for HCV and if so, which children and when? How do you know if you have hepatitis C? A screening test that measures antibodies to HCV can only tell whether a person has been exposed to the virus, but it doesn’t tell whether there is active virus in the body now. To diagnosis an active infection, you need another blood test that looks for HCV RNA. This measures “viral load” (how much active virus is present). A pregnant woman with evidence of HCV antibodies but no detectable active virus in her body is very unlikely to transmit HCV to her baby. On the other hand, pregnant women with very high viral loads are believed to be at increased risk for vertical transmission of HCV. Babies born to women who are infected with both HIV and HCV are at increased risk of becoming infected with HCV. Although we don’t know exactly why, it may be that the HIV weakens the immune system so that there is more HCV in the blood. HCV tends to infect a certain type of blood cell more often in women who contract the virus from injecting drugs. And it turns out that pregnant women with this type of infection are more likely to transmit the virus to their babies. 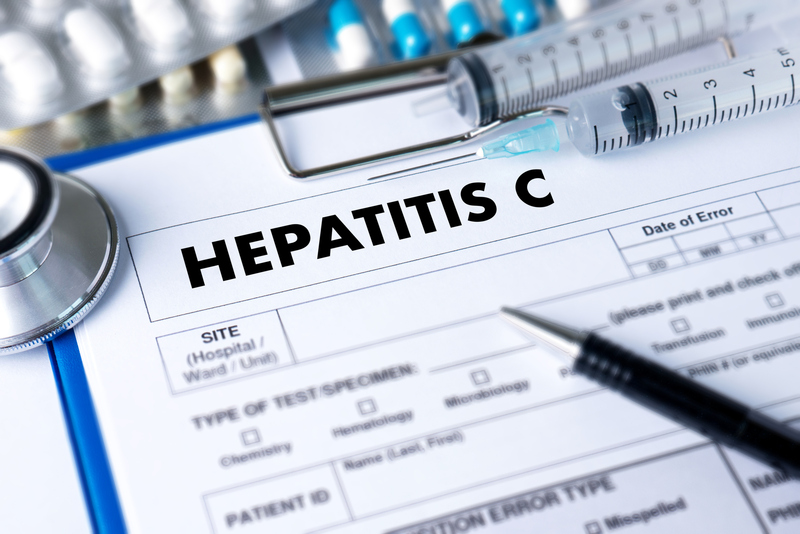 Although the chances are relatively low, the vertical transmission rate of HCV is significant, as is the liver disease that chronic infection can cause. And in the shadows of the current opioid epidemic, a growing number of reproductive-age women are contracting HCV, making vertical transmission of HCV even more of a concern. Current guidelines recommend screening only “at risk pregnant women” for HCV, but some experts have started discussing the routine screening of all pregnant women for HCV. 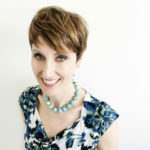 Dr. Chisholm, as an OB/GYN, is there any particular advice you would give to childbearing mothers who have Hepatitis C on how to possibly prevent passing it to their child? Thank you!